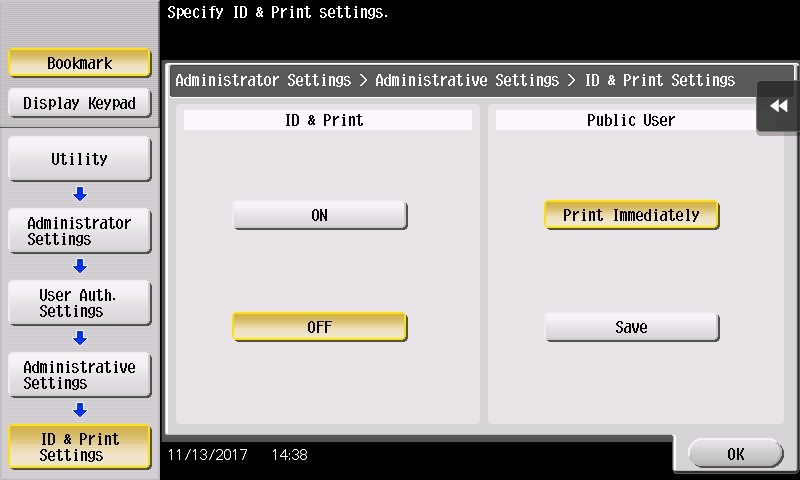 This happens when ID & Print is switched on, either on the printer itself, or in the users’ Printing Preferences. Ensure ID & Print is OFF on the printer. Enter the admin password and touch OK.
Touch ID & Print Settings. Touch OFF and then OK.
On the user’s PC, open the Printing Preferences. 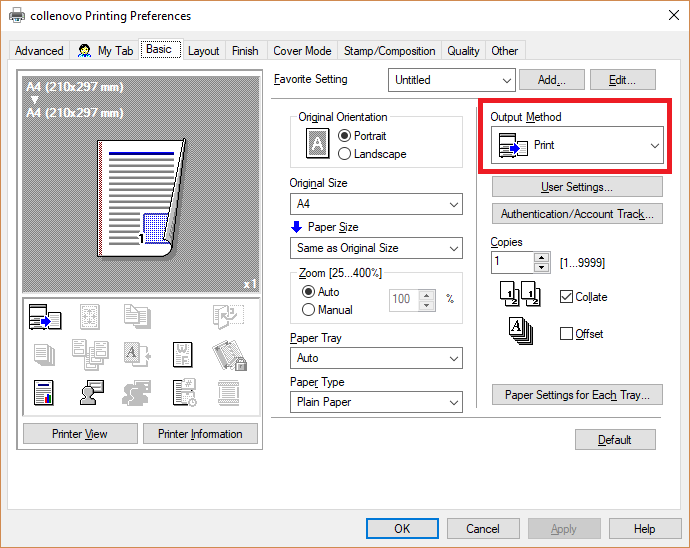 Ensure the Output Method is set to Print.